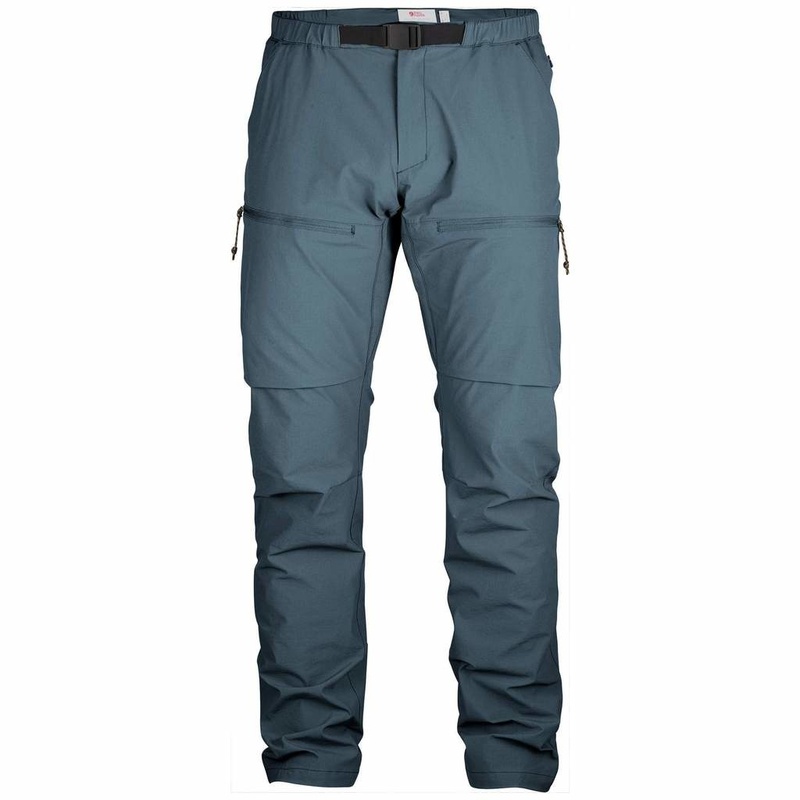 Light and comfortable trousers for casual outdoor life in the summer. 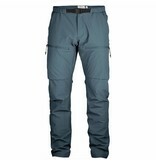 Made from a lightweight, pliant stretch fabric that wicks away moisture and dries fast. Just as suitable for light trekking as for an outing in the kayak, or other types of active outdoor life in warm conditions. The legs have a tapered cut and there is a gusset in the crotch for extra freedom of movement and comfort. 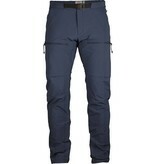 Elasticated waist and convenient textile belt with an easy-to-use buckle. Zippered fly with a press button at the top. Two hand pockets and two zippered leg pockets. Tired of having pants that take forever to dry? Fjällräven hit the nail on the head with this one. 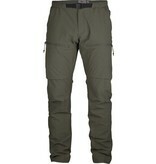 I own lots of your typical synthetic hiking pants, and nothing comes close. Just took these out Backpacking out near McAffe Knob. I’m so glad I took them, we ended up hiking in super clear weather....but it was raining ice cubes all over us. Needless to say my pants were soaked and it was in the high 30’s. My pants dried out every single day I was out there! The pockets on the thighs are super helpful and honestly I wonder why more companies don’t make designs like this. The only con here would be the price tag, $120 for pants can be a big purchase for most people. I’ll say compared to the other big names on the market, these are very well priced and are totaly worth it. I’ll defenitly be adding more of these to my drawer.